We now have a Pinterest Button, yay!! All of our items in our shop now have a little "Pin it" button below them. 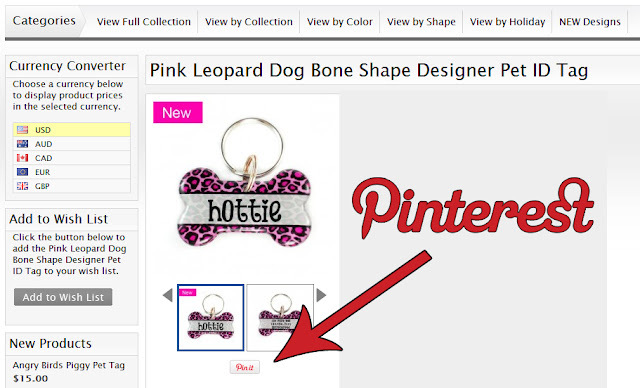 Please feel free to Pin us when browsing our shop, not many people know that our pet tags exist and that they have another option when purchasing a tag, so this helps to get the word out.